Memberships are annual through March 1st of each year. Dues are $20 for individuals, $35 for couples/partners & $15 for students. Business memberships are $30. Your business will receive a listing on this website and a decal for your door. We use PayPal for on-line payments. PayPal will accept most credit cards and you do not need a PayPal account. You may also donate by mail at P.O. Box 921, Morro bay, CA 93443. Please include the information requested on this form with your check. Thank you for joining us in our mission to preserve the history of our area. 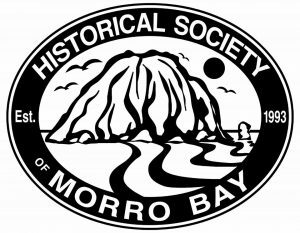 The Historical Society of Morro Bay relies on support and donations from the community to collect, preserve, and present the history of our area. Your membership is greatly appreciated.